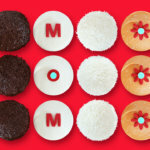 Roses are red, violets are blue, Valentine's Day is coming, what will you plan to do? 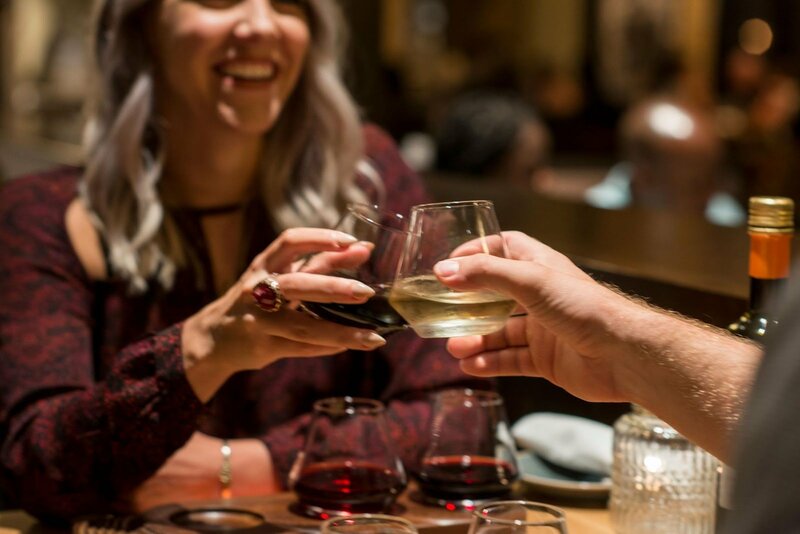 Treat yourself and your significant other to a romantic evening at Disney Springs. 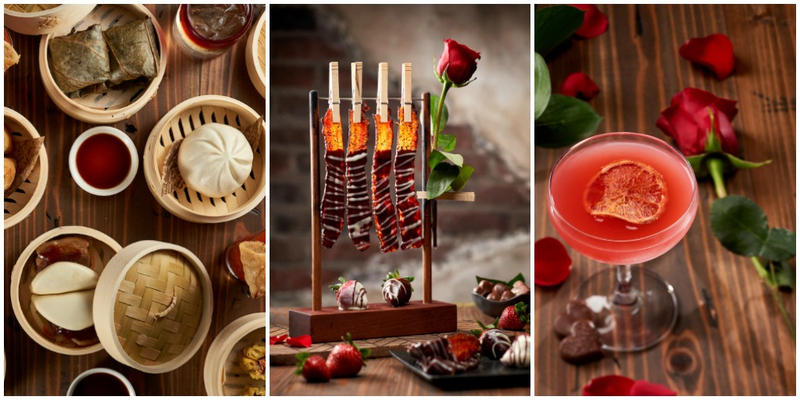 Several restaurants at Disney Springs will be helping guests celebrate the day of love with special menus and unique offerings. 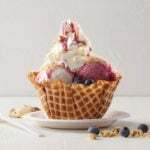 Several Disney Springs restaurants are binging a little extra magic to the Valentine’s holiday with their special menus and offers. The Edison invites guests and their special someone to swing into a one-of-a-kind celebration. 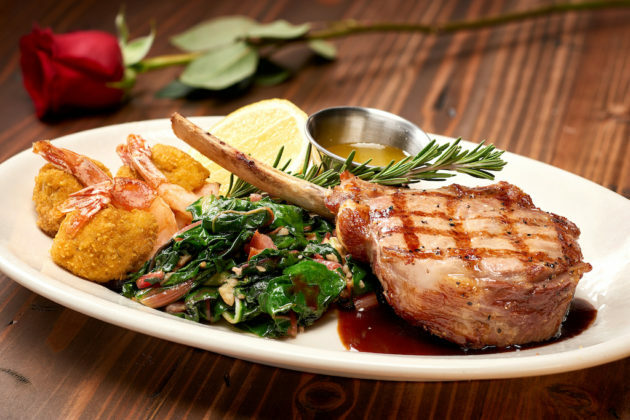 Enjoy world-class entertainment while indulging in their Grilled Veal Chop with a Red Wine Demi Glace, served with Crab Stuffed Shrimp and Sautéed Rainbow Chard. 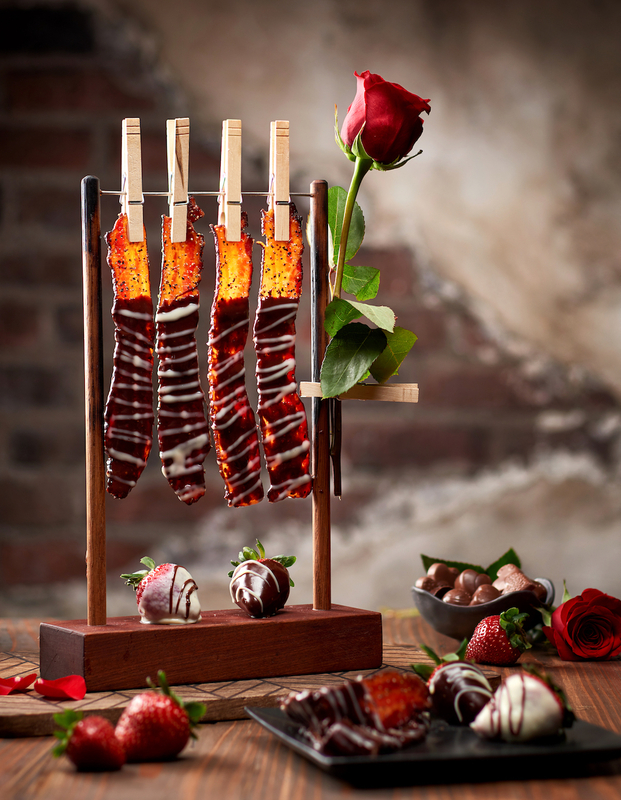 Couples who prefer both salty and sweet, will find their perfect match with The Edison's signature appetizer, "DB Clothesline Bacon," dipped in smooth milk chocolate. 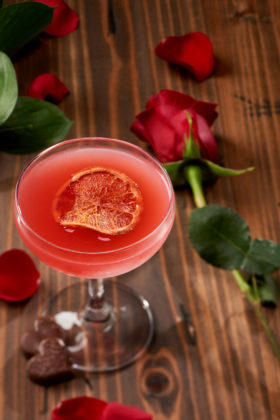 Finally, toast to a splendid day with the "My Pink Valentine" cocktail, a sweet and bitter mix of Woodford Reserve, Frangelico, Orange Juice, Earth Rose Pinot Noir, and chocolate bitters. To make reservations, visit https://www.theedisonfla.com/ or call 407-560-9288. 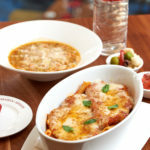 At Maria & Enzo’s, romance will take center stage with their Love at First Bite menu. 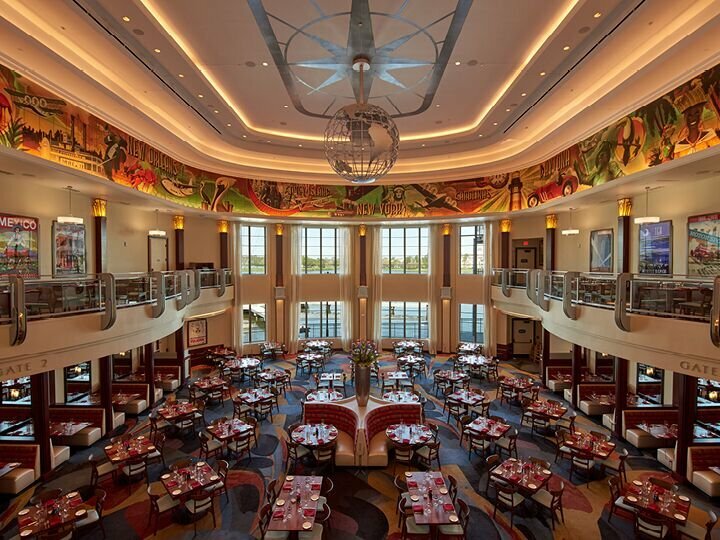 Soak in the breathtaking views of Lake Buena Vista while dining on imported Italian meats and cheeses, freshly shucked oysters, New York strip and roasted vegetable lasagna. For dessert, eat your heart out with our Bittersweet Chocolate Ganache Tart featuring salted caramel, bourbon raspberry jam, and ricotta gelato. 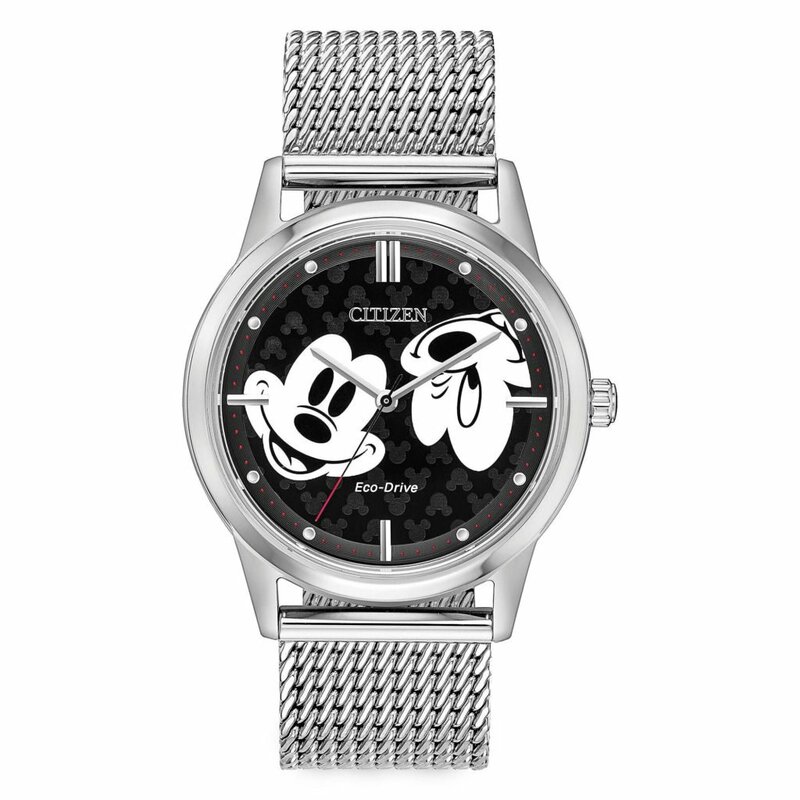 Now that’s Amore! 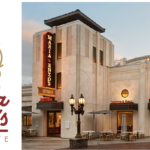 To make reservations, visit http://www.mariaandenzos.com/ or call 407-560-8466. Enzo’s Hideaway will provide the perfect backdrop for an evening of love. Celebrate the romantic occasion quietly tucked away in an intimate speakeasy atmosphere perfect for getting lost in each other. Guests will enjoy a specially curated menu featuring two Antipasti selections – Salumi E Formaggi and Chilled Duo of Oysters, setting the scene for a night of romance. Choose from handcrafted entrees like Duo Of Lobster and New York Strip or a traditional Roasted Vegetable Lasagna. End the decadent evening with the Bittersweet Chocolate Ganache Tart featuring salted caramel, bourbon raspberry jam, and ricotta gelato. Celebrate Valentine’s Day with the a delightful three-course menu and a bottle of sparkling or rosé wine. The cost $100.00 per couple. Baby Spinach, Agugula and Pancetta salad with Sweet Gorgonzola and Hazelnuts. Braised Beef Short Rib Over Creamy Lobster-Saffron Risotto with Asparagus Tips and Roasted Cherry Tomatoes. A Duo of Layered Chocolate Mousse with Chambord raspberry sauce. Spend a romantic evening under the sky-high chandeliers, intimate lighting and award-winning cuisine at Morimoto Asia. 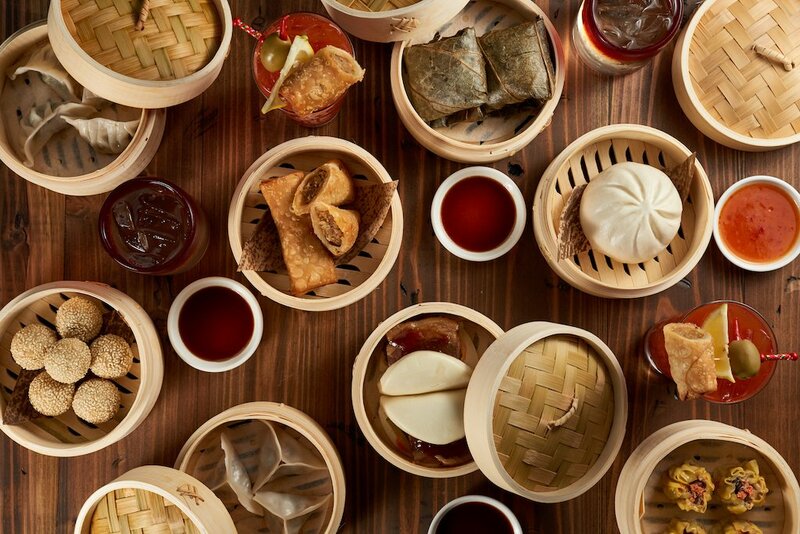 Located in the heart of Disney Springs, it is the first-ever Pan-Asian restaurant for Iron Chef Masaharu Morimoto. Fronted by a dramatic, three-story glass entryway, Morimoto Asia is an eye-filling showplace of dining spaces, open terraces, an intimate 14-seat sushi bar, Forbidden Lounge cocktail, and late-night dining hotspot and an exhibition kitchen that allows diners a glimpse of the culinary action.